I don't wear jeans very often ever. OK, that's a bit dramatic but it's pretty rare. However, I just couldn't resist this pair. I mean, they're called 'Awesome Baggies' for goodness sakes. I used to live in jeans like the rest of the population but I've kicked that habit for a good amount of years now. If you were to dissect the situation you would probably uncover the issue of having a smaller waist, bigger hips, and calves that just won't quit. So finding a pair that fits well is a mission impossible. Plus, stretchy pants and maxis feel so niiice. This is definitely not a self-loathing moment; rather, my declaration to play up your strengths and forget about those pesky areas you may not be so thrilled with. Cause girl, you look GOOD. 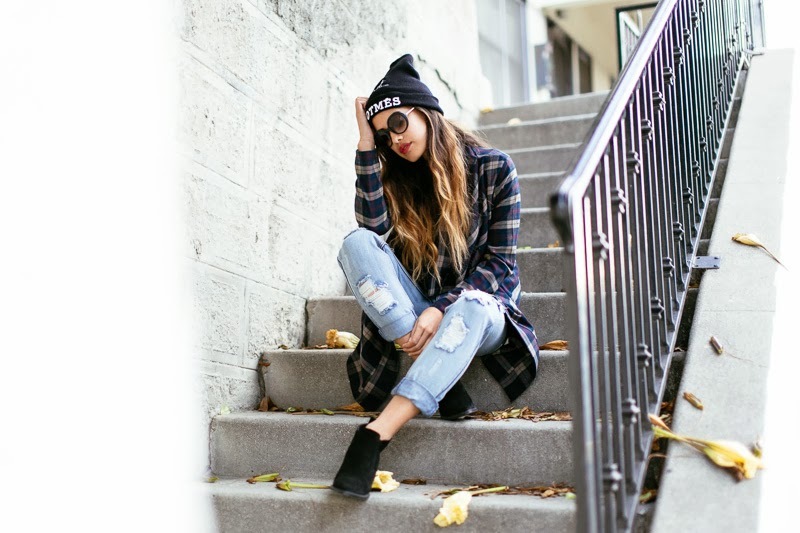 Love the look, so effortless with the distressed jeans and the beanie! The jacket is gorgeous! 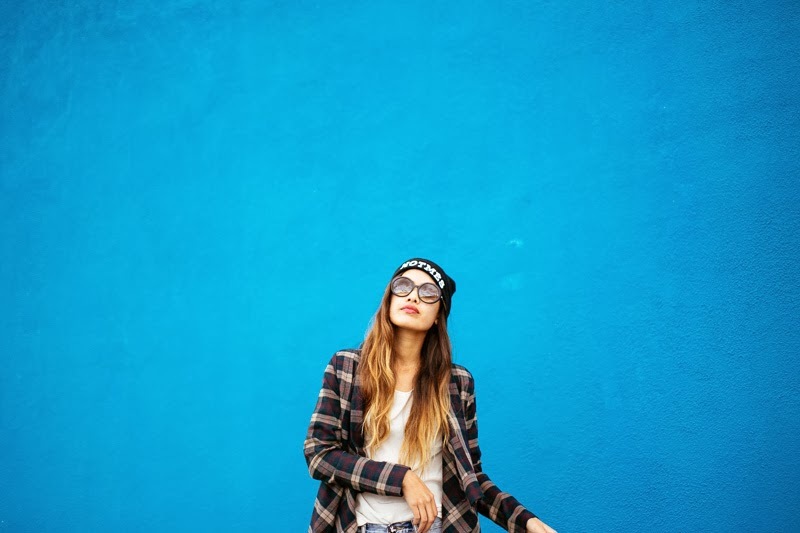 Love the distressed denim and plaid! Such a great look! You're stunning, great look! Lovely photos as well<3! So chic, loving your beanie and boots! Love the simple and edgy look. This most preferred all4webs.com/ application gives cost-free Visit here lawful TV Shows as well as flicks online, Mobile as well as etc. The summary of Download Tubi TV - Free Movies & TELEVISION 2.10.0 APK with this you can see a lot of the greatest Tubi TV APK Hollywood's titles, Oscar Winners, Tom Cruise, Tubi TV Matt Damon, Sandra Bullock. yet you will get few ads while video Mobdro App clip streaming on your gadget and also it Check this Website does not enables you to download video clips.If you Mobdro for Android opt for costs version after that the above trouble is fixed.